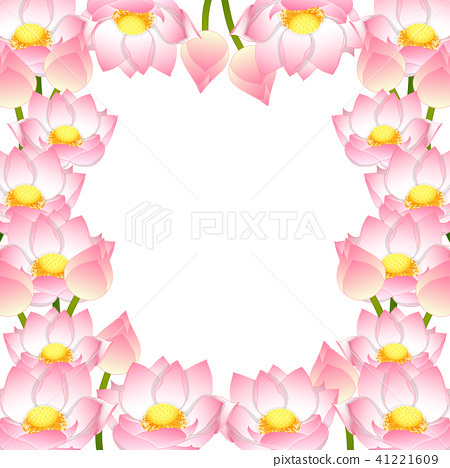 Nelumbo nucifera - Indian lotus Border, sacred lotus, bean of India, Egyptian bean. National flower of India and Vietnam. Vector Illustration. isolated on White Background.